The post below was originally published on Hipmunk’s Tailwind Blog on March 18th, 2016. There’s just one caveat: It can be easy to let pre-race jitters cause you to lose focus and forget critical gear. If you want to avoid feeling unprepared at the starting line, simply refer to this handy checklist whenever you’re preparing for a non-local race. In addition to your usual running staples—including (but certainly not limited to) running shoes, a fuel belt, a GPS watch, hair ties or a headband, and so on—here’s what to keep in mind when packing for a destination marathon. You know the panic that sets in upon arriving at baggage claim and realizing your bag has been lost? Imagine how much worse it is when said bag contained your running shoes and marathon gear. 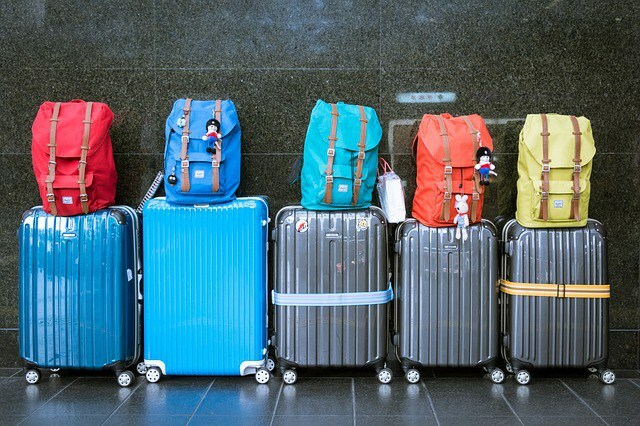 Avoid this agony by packing everything into a carry-on. If you must check a bag with extra clothing and accessories, at the very least make sure that your race-day essentials stay with you at all times. No matter where you’re going, it’s smart to pack for all kinds of weather. Temperatures can swing wildly between the start of a race and its end, particularly when you’re starting out early in the morning or running at high elevations. And then, of course, there’s the ever-present risk of rain, wind, intense sun, and freak weather events. Prepare for it all by bringing along a variety of layers, a running hat, gloves, sunglasses, a racing jacket and tights, and so on. This is particularly important if you’re traveling to a climate that’s different from the one in which you’ve trained (say, from New York to Colorado or from Australia to NYC). Since your body won’t be adjusted to that climate, weather changes may feel more extreme. It’s important to have the right apparel on hand so you can be as comfortable as possible. While you’re at it, go ahead and pack a back-up base outfit for race day—that way you’ll be covered in case anything gets wet or ripped. Regardless of whether you’re traveling via air or car, it’s a smart idea to wear compression socks during the trip. Doing so will help reduce swelling and prevent blood from pooling in your lower legs while you sit for extended time periods. (For the same reason, it’s also a good idea to stand up and walk around at least once every hour.) Helping your blood circulate properly in transit will ensure that your legs don’t feel like deadweights on race day. Rest stops and airplanes aren’t exactly known for their healthy fare. If you’re concerned about pre-race nutrition (and you probably should be), it’s a good idea tobring along your own healthy snacks to consume in transit. Also pack your own energy gels and other snacks if you’re wedded to particular brands—if you’re traveling across state or country lines, there’s no guarantee that you’ll be able to find your favorite brand(s) once you reach your destination. And remember to bring along a water bottle—staying hydrated is critical if you want to feel energized on race day. Marathons require runners to physically exert themselves outside for multiple hours—so it’s important to pack some sunscreen. Not only will it keep your skin healthier, but it will also spare you from having to add “sunburn” to your list of aches and pains the day after the race. Many runners also swear by Body Glide as a means of reducing skin friction during the race and minimizing pain and discomfort after it. While it’s most critical to pack essentials for the actual marathon, it’s also important to think about what you’ll need once the race is done. Put together a post-race kit that includes flip flops (or other comfy shoes), clean socks, an extra outfit, warm layers, snacks, face wipes and/or a towel, and a first aid kit. Before traveling, put together a playlist(s) that you can listen to both during your travels and before or during your race. Listening to music or podcasts is a great way to pass the time while you’re traveling and soothe any jitters leading up to the race. Given all the gels and fluids that most marathoners are wont to carry with them, it’s a good idea to make plastic bags your new best friend for the duration of your trip. Store your cell phone in a sandwich bag, and bring along a few extras in case that one is the victim of exploding energy gels. It’s also a good idea to pack your post-race clothes in gallon-size Ziplocs—then, come race day, you can look forward to changing into a dry pair of clothes no matter the weather. These days, many runners choose to use a Garmin, GPS watch, iPod, smartphone, or other technological accoutrement while running. If you’re in this camp, then it’s important to remember to pack the respective chargers for all of this gear. If you’re traveling abroad, keep in mind that power sources and plugs will probably be different than in the US—stock up on adaptors prior to leaving the country. If you’ve been issued a race form, waiver, bib, and/or chip in advance of the race, remember to stash these in your carry-on. You may also want to bring along proof of time (if you’re hoping to move up in the corrals), pace charts, and your travel itinerary. If you’re traveling internationally, don’t forget your passport and any necessary visas. Once you’ve accounted for everything on this list, it’s time to sit back, breathe, and rest easy. You’ll have everything you need for your race. Now all you need to focus on is getting across the finish line.